Our resort have achieved a number of environmental conservation initiatives. These range from rigorous protection of the coral reef, large scale litter clean-ups in the sea by divers, working in collaboration with the main Egyptian conservation organisation (HEPCA) to follow a waste management scheme, and on-site water treatment system as water conservation and alternative energy sources (solar) are of primary importance in this desert region. We are committed to supporting the Southern Red Sea eco initiatives to create a sustainable tourism model. The resort now have a full-time environmental officer whose job is to campaign for new initiatives and work towards a more sustainable tourism model. Tourists in this area are encouraged and inspired to preserve this fragile ecosystem. It is a priviledge for all our guests to know they can be involved. Our local boat company, crew and guides has an environmentally responsible policy . They act to cause low impact on both the coral reef and the dolphins by educating the swimmers and divers. They have a special anchoring system which does not harm the reef and is a permanent fixture which a crew member has to swim underwater in order to secure the boat. They issue the guests with non plastic bottles which can re-filled and re-used after being cleaned. There are various conservation initiatives in the area such as at the resort we use, there is an ongoing study on sharks. Through education, “Shark School” and creating a protected marine reserve ( HEPCA) the decreasing population of sharks seems to be making a recovery. We give our guests a lot of information with ideas of how they can contribute to the preservation of the reefs and the marine life. We also contribute a portion of the company profits to support this charity. We have also started a campaign called “Tourists Against Trash” (TAT) Every guest is given a bag in which to collect some of the huge amounts of waste plastic littering the desert. They are asked to be very visible and this actually has already encouraged the local Egyptians involved in tourism to clean up the litter which had previously been ignored – tourism is important to this area and if the tourists appear to want the plastic bottles removed, local people will comply. We work closely with the Red Sea Rangers to ensure the preservation of the dolphins and abide by Marine Park Regulations as well as the International Dolphin Watch Code of Conduct. 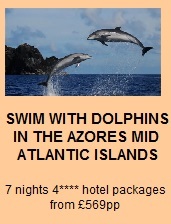 We report any violations of the regulations we observe with the wild dolphins. We are Approved IDW Dolphin Swim Operators and follow an ethical code of conduct. Boat operators or swimmers which break these regulations can be fined heavily.
" I just had the most fabulous holiday and Khaled was fantastic. He's so intuitive and knowledgeable. I had complete trust that he would do everything to ensure I got the most from my holiday. I was looked after so well and will definitely recommend the holiday to everyone I know!! As for the dolphins, yes, there are no words to describe how wonderful that was and if it hadn't been for Khaled's experience we could easily have missed out and not found them that day (as happened to guests with other guides). Thanks again to both you and Khaled for making this entire holiday experience enjoyable and trouble free. It's clear that you all feel passionately about what you're doing and that only adds to the whole thing."